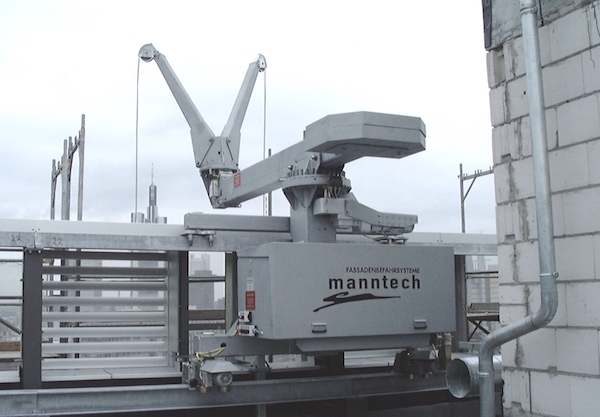 The technical conception of our machines guarantees immediate operational readiness and high work performance on the facade due to simple handling combined with hands-on training in operation and safety for the operating and building management personnel. If required, the entire machine can be stowed in a garage, or other parking area, using a shunting car. 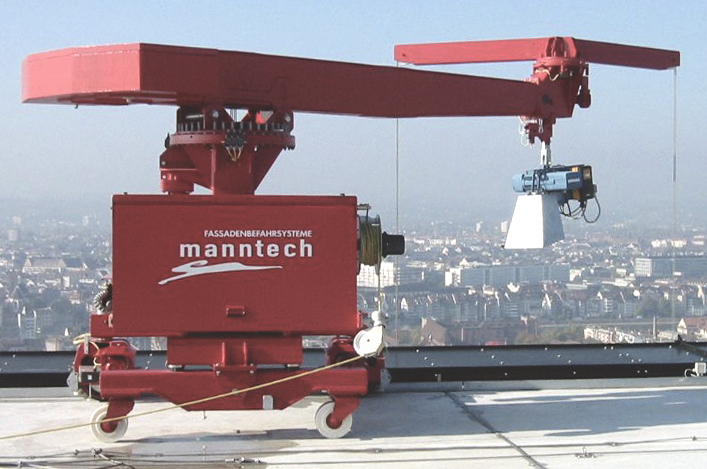 This crane system also offers increased functionality to navigate building protrusions and is suitable for cases where there is insufficient space on the roof or very high parapets. The track is anchored instead to the load-bearing parapet and can also be provided with sloped tracks. This trackless compact crane machine is suitable for building roofs with a load-bearing concrete runway. 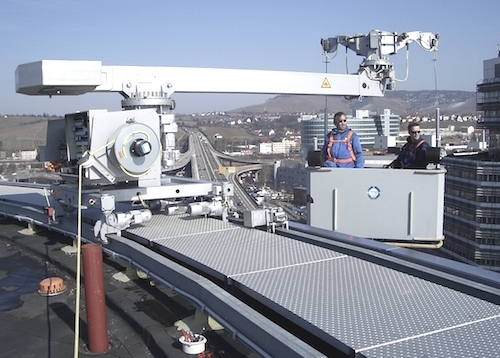 The machine travels on large wheels with durable polyurethane tyres which run on guide rails or the parapet. It can also be mechanically anchored if required. The concrete runway can be configured so that the machine can be placed in a parked position and stored away from the building-edge.